Kate is a UNSW Scientia Education Fellow and senior lecturer in the School of Engineering and Information Technology and Learning and Teaching Group at UNSW Canberra (at the Australian Defence Force Academy). Kate teaches engineering mechanics and two teaching training programs for early career academics. She has a PhD in physics from Monash University, and has done research in computational physics and condensed matter physics. Her current research interests include student learning, the transition from school to university and gender differences in performance on assessment. Kate is coauthor of an undergraduate physics textbook and four high school physics textbooks, and has also contributed to texts on chemistry and biology. 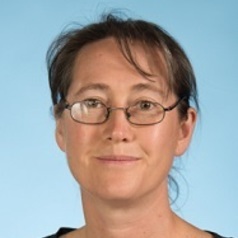 She is a past director of the Australian Science Olympiads Physics Program and honorary member of the Sydney University Physics Education Research group.